In a new study, atmospheric and marine chemists report that the release of sulfur and nitrogen into the atmosphere by power plants and agriculture plays a minor role in making the ocean more acidic on a global scale, but the impact is greatly amplified in the shallower waters of the coastal ocean. The findings are important for the bioenergy community, because, compared to coal, the production of power from biomass substantially reduces all major emissions that lead to ocean acidification: sulfur dioxide (by up to 80%), nitrogen oxide (by up to 50%), and of course carbon dioxide. Even taking into account the emissions produced during the production of energy crops, the benefits compared to coal remain large (overview of data on lifecycle emissions of biomass for power generation at the U.S. Department of Energy - Energy Efficiency and Renewable Energy, Biomass Program). Maps depicting the model-estimated atmospheric deposition rates of carbon, nitrogen, and sulfur; alkalinity; and potential alkalinity to the ocean caused by human activity relative to conditions before the Industrial Age began. Source: Scott Doney et al, from Proceedings of the National Academy of Sciences. Ocean acidification occurs when these chemical compounds mix with seawater, a process which lowers the pH and reduces the storage of carbon. Ocean acidification hampers the ability of marine organisms—such as sea urchins, corals and certain types of plankton, to harness calcium carbonate for making hard outer shells or 'exoskeletons'. These organisms provide essential food and habitat to other species, so their demise could affect entire ocean ecosystems. The findings were published this week as an open access article in the online early edition of the Proceedings of the National Academy of Sciences; a printed version will be issued later this month. In addition to acidification, excess nitrogen inputs from the atmosphere promote increased growth of phytoplankton and other marine plants which, in turn, may cause more frequent harmful algal blooms and eutrophication (the creation of oxygen-depleted 'dead zones') in some parts of the ocean. Scott Doney, senior scientist in the Department of Marine Chemistry and Geochemistry at the Woods Hole Oceanographic Institution (WHOI), collaborated to analyse these effects together with Natalie Mahowald, Jean-Francois Lamarque, and Phil Rasch of the National Center for Atmospheric Research, Richard Feely of the Pacific Marine Environmental Laboratory, Fred Mackenzie of the University of Hawaii, and Ivan Lima of the WHOI Marine Chemistry and Geochemistry Department. The research team compiled and analyzed many publicly available data sets on fossil fuel emissions, agricultural, and other atmospheric emissions. They built theoretical and computational models of the ocean and atmosphere to simulate where the nitrogen and sulfur emissions were likely to have the most impact. They also compared their model results with field observations made by other scientists in the coastal waters around the United States. Perturbation maps of simulated surface water pH, dissolved inorganic carbon, and total alkalinity trends and air–sea CO2 flux due to anthropogenic atmospheric nitrogen and sulfur deposition. Source: Scott Doney et al, Proceedings of the National Academy of Sciences. When nitrogen and sulfur compounds from the atmosphere are mixed into coastal waters, the researchers found, the change in water chemistry was as much as 10 to 50 percent of the total changes caused by acidification from carbon dioxide (map, click to enlarge). Seawater is slightly basic (pH usually between 7.5 and 8.4), but the ocean surface is already 0.1 pH units lower than it was before the Industrial Revolution. Previous research by Doney and others has suggested that the ocean will become another 0.3 to 0.4 pH units lower by the end of the century, which translates to a 100 to 150 percent increase in acidity. Ultimately, acidification leads to a reduced capacity of oceans to store carbon. Together with plants, marine organisms play the key role in nature's way of cycling carbon dioxide. If this mechanism comes under strain, ecosystems risk to get out of balance and may reach a tipping point after which more carbon emissions result in ever stronger negative effects. This is why it is time to act now on reducing the amount of greenhouse gases we put into the atmosphere, while reducing sulfur and nitrogen emissions as well. Funding for this research was provided by the National Science Foundation, the National Aeronautics and Space Administration, and the National Oceanic and Atmospheric Administration. Woods Hole Oceanographic Institution: Acid Rain Has a Disproportionate Impact on Coastal Waters: Research Suggests Sulfur, Nitrogen Emissions Play a Role in Changing Chemistry Near the Coast - September 7, 2007. Australia and China have signed a partnership agreement that will pave the way for the installation of a post combustion capture pilot plant in Beijing next year. The collaboration is a first step towards the development of 'clean coal' technologies that capture and store carbon. The pilot plant will be installed at the Huaneng Beijing Co-generation Power Plant, owned by the China Huaneng Group, a state-owned energy enterprise. The Commonwealth Scientific and Industrial Research Organisation (CSIRO), Australia's national science agency, is the partner. Biopact tracks developments in carbon capture and storage (CCS) technologies, because they can be applied to biofuels. Such 'bio-energy with carbon storage' (BECS) systems result in the production of carbon-negative energy - the only energy system capable of doing so. Contrary to nuclear or renewables like wind or solar, BECS actually takes emissions from the past out of the atmosphere. Scientists have looked at BECS in the context of 'abrupt climate change', as the most feasible way of radically reducing atmospheric carbon dioxide levels (previous post). If implemented on a global scale, BECS can take us back to pre-industrial CO2 levels by mid-century (earlier post, here and here). The agreement between CSIRO and the China Huaneng Group involves post combustion capture (PCC), a process that captures CO2 from power station flue gases (more here on pre-combustion capture). PCC is seen as one of the key technologies that can potentially reduce CO2 emissions from existing and future coal-fired power stations by more than 85 per cent. After capture, compression and cooling the carbon-rich liquid is stored using geosequestration techniques. Carbon can be permanently buried in deep saline aquifers, depleted gas or oil reservoirs, deep unmineable coal seams and adjacent strata or other deep geological formations. The installation of the PCC pilot plant in Beijing forms part of the Asia Pacific Partnership on Clean Development and Climate initiative (AP6) which first announced funding for PCC research in November 2006. Low-emission energy generation is a key research area for CSIRO and is important for China, a country that relies on coal to supply 80 per cent of its energy needs. CSIRO has been working on collaborative projects with China for over 30 years, in areas as diverse as minerals and mining technology, plantation forestry, environmental sustainability, and crop science. The AP6 program for PCC also includes a pilot plant installation at Delta Electricity’s Munmorah power station on the NSW Central Coast, with additional Australian sites currently under negotiation for PCC installation and demonstration. PCC research in Australia is also taking place outside the scope of the AP6 program with the announcement of the Latrobe Valley post combustion capture project – a A$5.6 million endeavour that focuses on the reduction of emissions from brown coal power stations. Top image: A post combustion capture (PCC) pilot plant at CSIRO Energy Technology’s Newcastle site. Credit: CSIRO. CSIRO: Australia and China partner for a low-emission energy future - September 6, 2007. CSIRO: Rolling out low emission technology using post combustion capture research - s.d. CSIRO: Post combustion capture (PCC), factsheet. Some analysts have warned that the production and conversion of low yielding biofuel crops requires vast amounts of oil inputs, weakening the energy balance of the fuel. One of the arguments is that the large number of combines, tractors and trucks needed to harvest, treat and transport feedstock all rely on petroleum fuels. However, others argue that, in principle, all these machines can be fueled by biofuels produced on the farm. This is precisely what a consortium of soybean industry organisations in the U.S. is now calling for: with the harvest season closing in, the United Soybean Board (USB), the Illinois Soybean Association (ISA) and the National Biodiesel Board (NBB), are calling on American farmers to increase engine performance and create demand for their own soybeans by filling their tanks with soy biodiesel. Given that soybeans yield very low amounts of oil compared to more suitable biofuel crops, the call is not made out of environmental or energy efficiency concerns. This is merely a way to boost demand and drive up prices. Still, the experiment is worth tracking, and hopefully some scientific data on the experience will be produced. It would be interesting to see what the final energy balance of soy biodiesel will be, and how the logistics of on-farm biodiesel production and use turn out. Original equipment manufacturers (OEMs) representing Case IH, Cummins, Inc., and New Holland have joined the initiative. Currently, soy biodiesel is used in approximately 700 commercial fleets, and more than 3,000 U.S. fuel distributors and retailers carry biodiesel. NBB estimates that 225 million gallons of biodiesel were used in the United States last year. Projections for this year top 300 million gallons. And it’s not just farmers using the product – truckers, heavy equipment operators and other general diesel users are catching on to soy biodiesel. List of all known OEMs in the U.S. supporting soy biodiesel and their blend recommendations. Courtesy: NBB. Industry support of soy biodiesel continues to grow. According to NBB, more than 20 OEMs across the U.S. approve soy biodiesel use at various blend levels in their engines (table, click to enlarge). Every major auto manufacturer approves the use of at least a B5 blend (5 percent soy biodiesel and 95 percent petroleum diesel). The soybean checkoff is promoting soy biodiesel to general audiences this summer through its co-sponsorship of the National Tractor Pullers Association (NTPA). The checkoff is displaying the benefits of soy biodiesel as well as other soy-based products at six pulling events across the Midwest and South. USB is made up of 64 farmer-directors who oversee the investments of the soybean checkoff on behalf of all U.S. soybean farmers. Checkoff funds are invested in the areas of animal utilization, human utilization, industrial utilization, industry relations, market access and supply. As stipulated in the Soybean Promotion, Research and Customer Information Act, USDA’s Agricultural Marketing Service has oversight responsibilities for USB and the soybean checkoff. Taking things a step further, researchers from Penn State University demonstrated earlier this year that B100 can be used in tractors without problems. For the past year, a demonstration program has been running two new, unmodified New Holland tractors on B100 biodiesel made from soybean oil with no petroleum-based component, with no ill effects. In Europe, rapeseed producers often use pure rapeseed oil straight from their own farm to power their farm equipment. This, however, requires modifications to diesel engines. United Soybean Board: Checkoff Asks Farmers to Fill ’er up with Soy Biodiesel During Harvest [*.pdf] - August 28, 2007. The Indian Centre For Jatropha Promotion (CJP) announces it is introducing a distance training program on Jatropha biodiesel production. 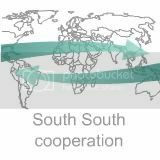 Thousands of power point slides and a number of images and video clips teach students step by step about the science of growing Jatropha curcas, the drought-tolerant, oil-seed bearing perennial that thrives in poor tropical and subtropical soils. Courses on Jatropha crop development and biodiesel production from farm to fuel will be made available, as well as basic management lessons for creating a successful Jatropha biodiesel business venture. The distance training program provides an opportunity to those stakeholders who are pre-occupied with other important business tasks and do not get the time to attend the CJP's 5 day training programmes. According to the CJP each hectare of Jatropha can produce an average of 800 gallons (3000 liters) of biodiesel per year from its nuts as well as more than 7500 lbs (3400 kilograms) of waste biomass. For biodiesel, Jatropha yields more than four times as much fuel per hectare as soybean; more than ten times that of corn. CJP being an international knowledge centre for Jatropha oil crop and has gained extensive experiences and expertise for creating a 'Jatropha Failsafe Fuel Farm'. It is the only global organization which organizes a 'Worldwide Jatropha Specific Training programme'. Image: a bunch of mature jatropha nuts ready to be harvested. Courtesy: CJP. Earthtoys: CJP announces Jatropha biodiesel distance training program - September 7, 2007. Center for Jatropha Promotion: CJP Offers Jatropha Biodiesel Distance Training Programme - overview. Brazil and Mozambique have signed six bilateral agreements on social and economic cooperation, with the most important one being a commitment to join forces on the production of biofuels. Mozambique's president Armando Guebuza is currently in Brazil where he met with his counterpart and with biofuel industry leaders. Brazilian president Lula Inácio Lula da Silva has been extremely active in trying to help Africa benefit from its large biofuels potential. Promoting renewable fuels abroad has become his administration's top foreign policy priority. The newly signed document establishes an action plan that will be drafted over the next 180 days, aimed at studying local conditions and at transferring technologies and scientific expertise on renewable bio-based fuels. The goal is to replicate Brazil's sustainable biofuel production model in the African country. Cooperation on biofuels promises to open up a range of good opportunities for our companies and will serve many Mozambican citizens. Our country has an enormous potential for the production of raw materials for biofuels. - Armando Guebuza, president of Mozambique. The leader of the African country stressed that this accord on technical cooperation serves his government's poverty alleviation strategies and helps protect the environment by fighting climate change. President Lula said biofuels like ethanol and biodiesel will generate income and employment for the Mozambican population "who have all the necessary conditions to help supply the growing global demand for bioenergy". The agreement further entails the training of Mozambican engineers and technicians, as well as the creation of a framework to help the African country create an internal and export-oriented market for biofuels. President Lula for his part said that Brazil would also help Mozambique develop its hydroelectric potential as well as its petroleum resources. Recently, the Maputo government announced that the East African country had launched an international auction for oil and gas exploration in several regions of the country. Lula reaffirmed that the recent investment by Brazilian mining giant Companhia Vale do Rio Doce for the exploration of coal in the region of Moatize has triggered a new cycle of investment interest. Other Brazilian companies are currently studying infrastructure and energy projects in the African country. Besides the biofuels agreement, the two countries signed collaboration deals on education, the fight against HIV/AIDS, agriculture and justice. Projects to be carried out by Brazil's International Cooperation Agency include building water purification and infrastructure projects in rural areas. Importantly, president Lula announced his government's attention to establish a plant for the production of anti-retroviral drugs in Maputo. An office of the Fundação Oswaldo Cruz (Fiocruz) will be opened there as well. Fiocruz is a fund coordrinating technology transfers and expertise on the production of affordable anti-retrovirals. The Brazilian initiative is supported by the African Union. Translated from Portuguese by Laurens Rademakers, Biopact 2007, cc. Brazilian federal government: Brasil e Moçambique formalizarão acordo na área de biocombustíveis, informa diplomata. Agência Brasil: Lula diz que biocombustível será nova fonte de renda e emprego para moçambicanos - September 6, 2007. Agência Lusa: Brasil assina acordo de biocombustíveis com Moçambique - September 6, 2007.